If there is one cricketer who continues to be respected and revered long after his playing days, he is Gundappa Viswanath. The original 'Little Master' of Indian cricket, whose artistic, aesthetic and elegant batsmanship bordered on the sublime, was the last gentleman cricketer, all factors considered. It was said, and continues to be, that Vishy, as he is affectionately known the world over, is such a gentle, noble person that he wouldn't even hurt a fly, let alone speak ill about an individual. But India's shocking ouster from the World Cup has not only disappointed this cheerful, humble soul, but also made him criticise our players. In a rare interview with Haresh Pandya, Viswanath discusses India's disastrous campaign in the Caribbean. I don't want to make any comment. If our players play like this, I really feel I shouldn't make any comment on them or their performance. Your tone indicates that you are very upset by India's shocking exit from the World Cup, even before the Super Eight round. As a former India player, humbly proud of having represented my country in an era when the game wasn't at all engulfed by the crass commercialism of today, I must admit I'm not just upset but extremely hurt by the way this team has brought humiliation to the nation. It's the most pathetic performance imaginable. Is this a way to play cricket at the international level? Even we had not played that badly in the first two World Cups, despite the fact that we had very little or no experience of one-day cricket. I'm sure many must have been disillusioned about our present players. What do you think could be the reasons behind India's shoddy performance and shocking defeats at the hands of Bangladesh and Sri Lanka? What's the point discussing such things now? No point crying over spilled water. I think each and every member of the Indian team should indulge in some sort of introspection. So much media hype was built around our players long before the first ball was bowled in the World Cup. Did they become victims of the media hype? I don't know. When you play at the international level and compete in as prestigious an event as World Cup, you should be mentally strong to handle any sort of hype and pressure. Don't you think the BCCI may ask Rahul Dravid to step down or directly dismiss him from the captaincy in the wake of what his team has done in the Caribbean? 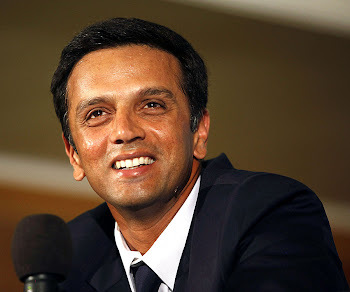 Dravid's captaincy has nothing to do with India's ouster from the World Cup in the preliminary round itself. It's not his fault. We lost to Bangladesh and Sri Lanka not due to his captaincy. It's his batsmen who let him down. What can a captain, howsoever astute, do in such a situation? Agreed, sir, but don't you think the reins of Team India should now be given to a younger captain? Where's the right candidate? You've to groom a captain, you've to give him time to be mentally prepared for the most difficult job in Indian cricket. You can't pitchfork someone into the cauldron of captaincy and begin to expect positive results. But first of all, let him, whoever he may be, prove to have what it takes to lead the Indian team. Don't you think India has had enough of foreign coaches? If you're talking about Greg Chappell, well, the BCCI has already hinted at his replacement. And even if his contract is renewed, I don't think the Aussie will like to coach this team. I'm told Sandeep Patil's name is being tossed about as a likely replacement. Who do you think should coach the national team, a foreigner or an Indian? What difference does it make? What can a coach do, whether he is from India or abroad, if our players continue to perform the way they did in the World Cup? Cricket is a team sport and each and every player has to contribute for the success of his team. Your coach can only guide you, advise you; he can't go out and even play for you. Do you think there should be drastic changes in Team India in the aftermath of its World Cup debacle? I think there should be at least some changes. In fact, the BCCI has already hinted at what you call drastic changes. But you can't drop all the players together. You've to be careful about the exclusion as well as inclusion of some particular players. Let's not blame Tendulkar or any other individual player. It's a collective failure of the entire Indian team, particularly its batsmen, to deliver when the moment came. If Tendulkar is still enthusiastic, fit and in form, who can stop him from playing in the next World Cup? But he has to show the kind of form and consistency he is famous for. What is your reaction to the treatment meted out to a senior player like Anil Kumble? This hasn't happened with him the first time. In the last World Cup, too, he had been relegated to a mere passenger. Is this a way to treat a great player who has rendered long and loyal services to the country? How can you afford to leave him out in a crucial match? I'm not surprised that he has already announced his retirement from one-day cricket.